The 7321 is a single-channel, solid-state relay that allows your data logger to control one or two dc devices. The 7321 is the same device as CRYDOM's model D1D07 that's distributed through Newark Electronics and others. One data logger digital port controls each relay. CR500 (retired) The CR500 has only one digital port capable of providing control signal. CR510 (retired) The CR510 has only one digital port capable of providing control signal. 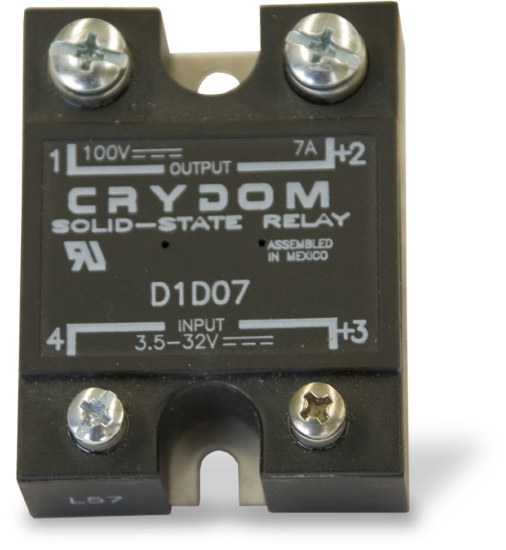 Which CRBasic instruction is used to activate the 7321 relay? Either the PortSet() or the WriteIO() instruction can be used to open and close the 7321 relay. These instructions are commonly used in conjunction with an IfThen/EndIf construction.